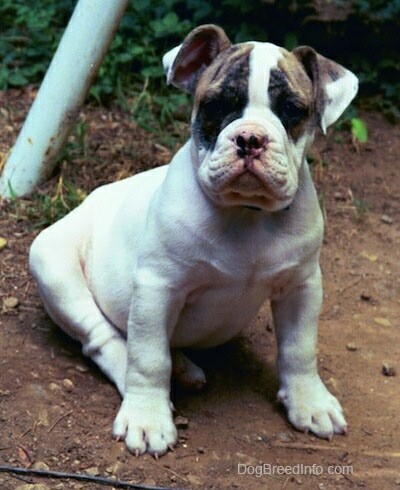 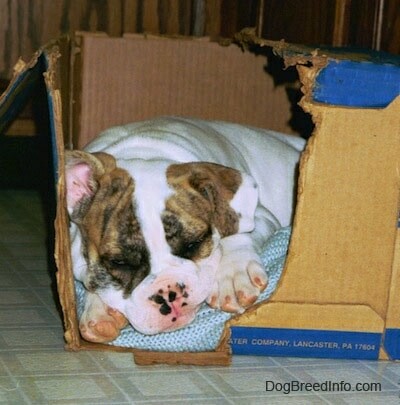 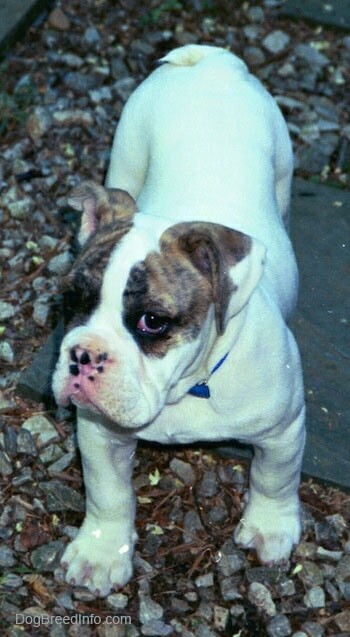 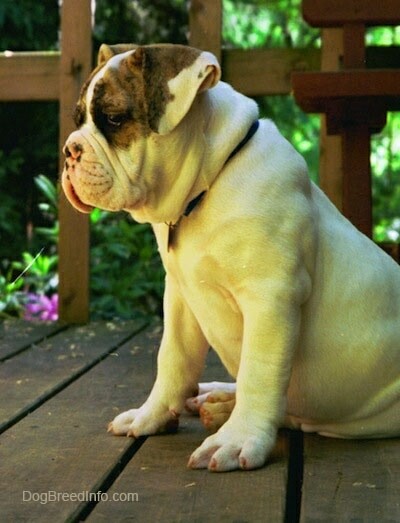 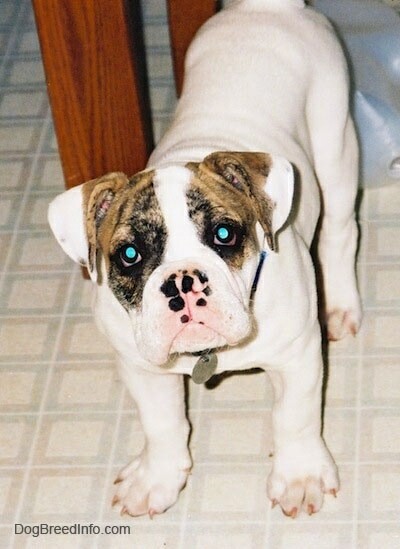 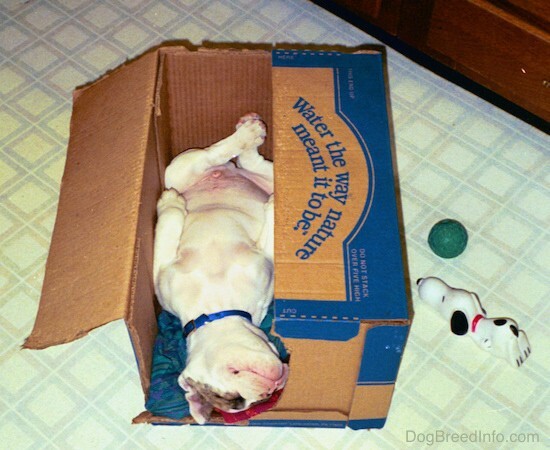 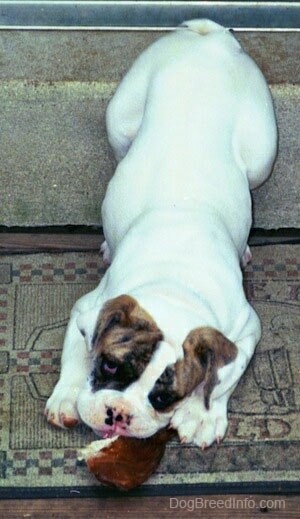 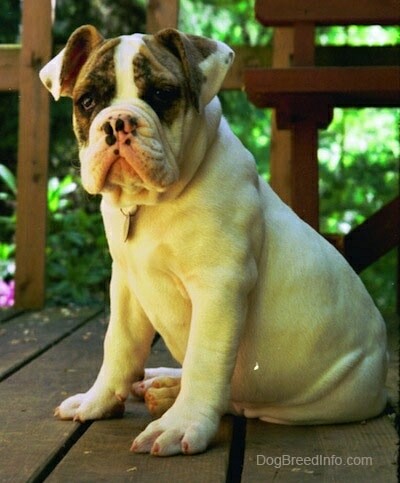 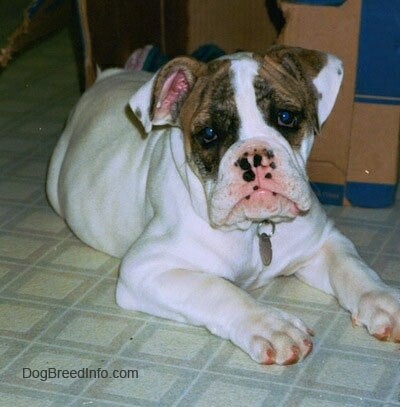 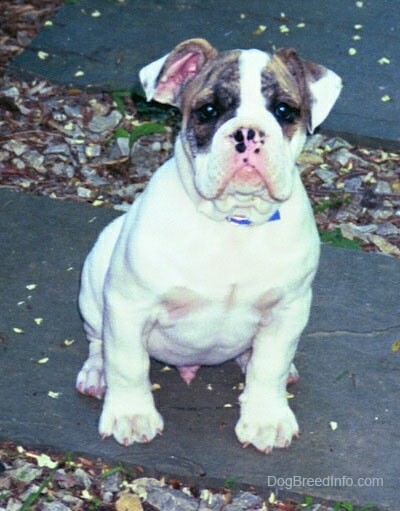 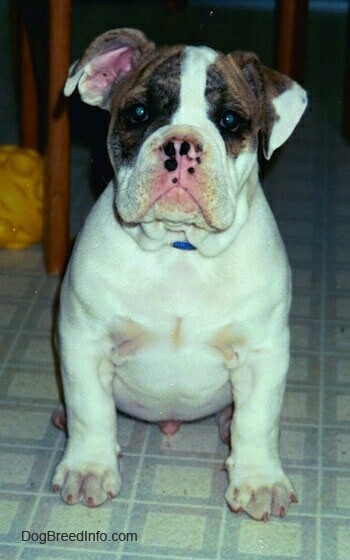 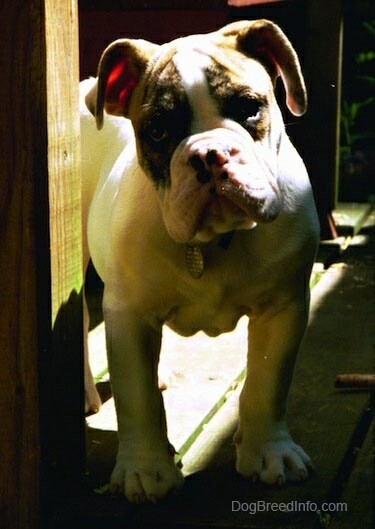 Spike the Bulldog as a puppy—He is the dog who inspired the begining of the Dog Breed Info Center website. 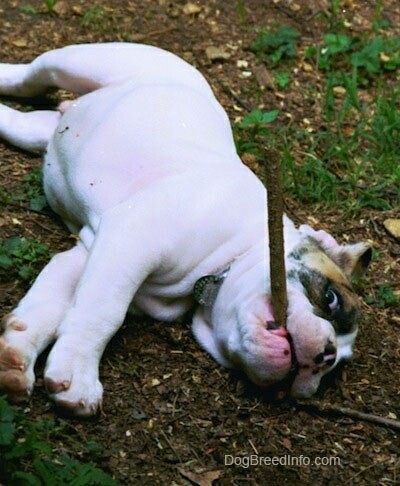 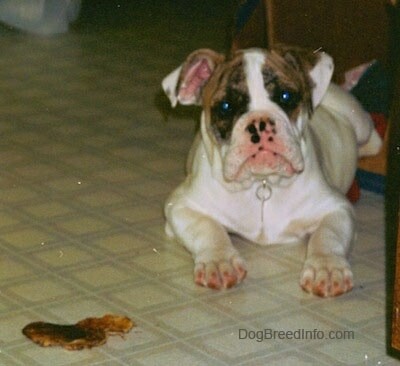 Spike the Bulldog as a puppy chewing on a stick, look at that potbelly! 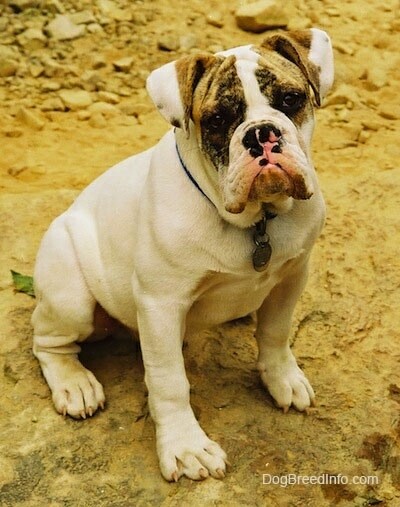 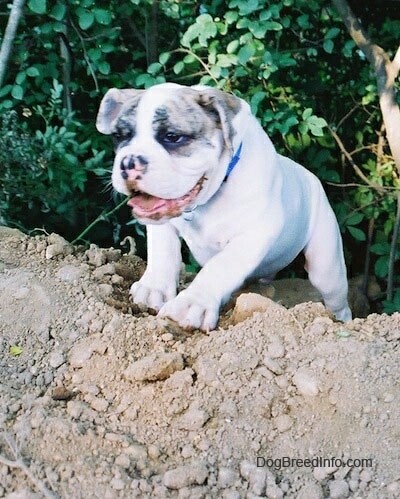 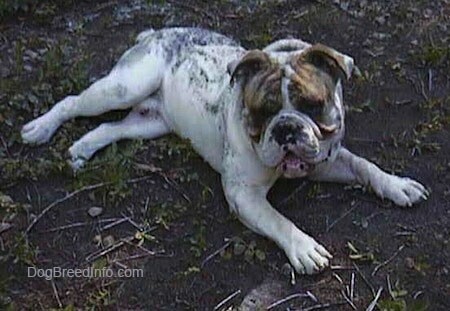 Spike the Bulldog as an adult dog—He had just rolled in the dirt and was very happy about it.